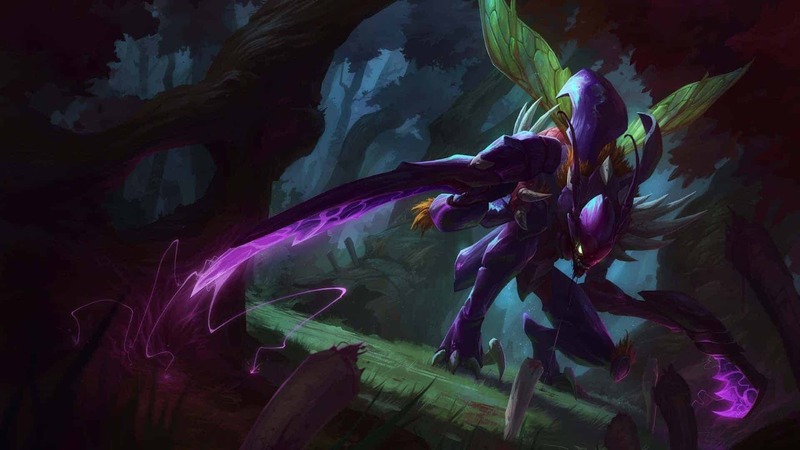 Riot Games has been showing off one of their newest champions in League of Legends, Kha’Zix, the Voidreaver. ?An ?Art Spotlight? video lets viewers see the evolution of Kha’Zix appearance as time has gone on. Kha’Zix is described to be as a ?flexible jungle assassin?, as Riot Games puts it. The character is well-matched for ensnaring solitary players. He blends in with the shadows and when targeting single threats, he does significant more damage than when there are more than one target using his claws. The character may seem like he was built for ganking, but Riot games is trying to make him an adaptable Champion. Depending on which evolutions a player chooses, he can become better at resisting damage or attacking at long range. Riot has not announced when Kha’Zix will be going live in the game just yet.